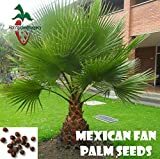 Washingtonia palm growing palm tree of the genus Washingtonia palm also known as Mexican fan palm, Washingtonia palm perennial evergreen used for edible fruits and mostly as ornamental drought tolerant plant, can grow in mediterranean, desert, subtropics, temperate, tropics climate and growing in hardiness zone 9+. Flower color pink, yellow or white, flowers grow on clump its branch on every branch can be dozens of flowers dioecious male and female flower on separate plants. Fruit edible, color of the fruit purple-black, the fruit round shapeless. 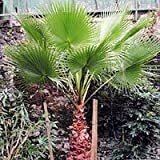 What can be done with big quantities of Washingtonia palm fruit?